Who Needs Smartwatches? These 7 AI Wearables Can Boost Focus, Fitness and Health. Whether you're looking to increase your focus or track your stride while running, AI wearables aim to help consumers take control of their health. In the old days, people had to walk 10 miles to school in the snow, according to an oft-cited trope. But to today’s youth, perhaps more surprising than the 10-mile figure is the fact that people didn’t have smartwatches, phone apps or artificial intelligence (AI) wearables to tell them exactly how far they were trekking -- or to track their heart rate, number of calories burned, net incline, ad infinitum. When it comes to wearables, the AI implications are endless. 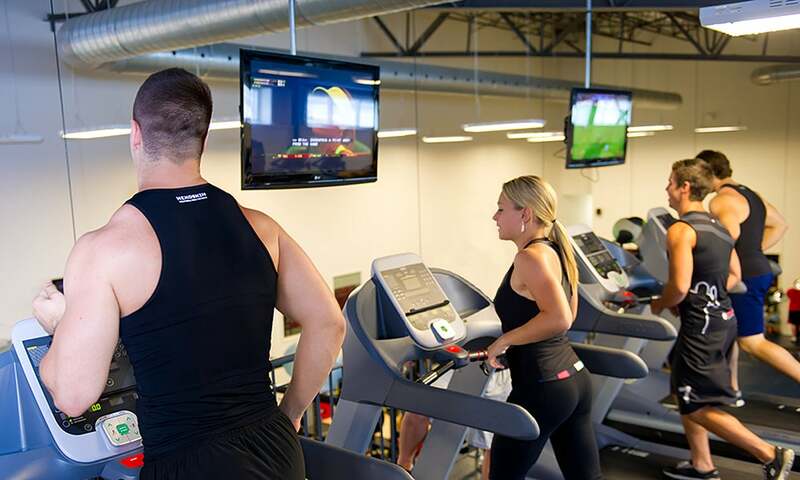 This year, 75 percent of U.S consumers said technology is important for managing their health, according to a survey by Accenture. About 33 percent are incorporating wearables into their lives, up from 26 percent in 2016 (and between 2014 and 2016, use of health wearables more than doubled). Here are seven wearables that can help with focus, exercise, health tracking and more. What it is: Nadi X is a pair of yoga pants with embedded smart sensors that aim to help people practice yoga with better form. The idea for the product came to Billie Whitehouse, founder and CEO of Wearable X, through personal frustration with her yoga practice. Yoga classes in New York City were expensive, and she felt she wasn’t getting the personalized attention she was paying for. Whitehouse’s company had already done a range of haptics tests for other wearable products, so she began applying the technology to gauge the orientation of users’ yoga poses. How it works: The pants use “haptics,” or touch sensations that allow users to interact with technology, to gently alert you to adjust. A user clips on a device behind the left knee, and after choosing one of the app’s yoga offerings (single pose or 40-minute routine), they enter each pose through a series of steps laid out via audio cues and sensor vibrations. (Note the pants are meant for private yoga practice use and not group classes, as they currently only work with the app’s routines.) After successfully completing each step, accelerometers “read” the body to see if you made it successfully into the pose, and if so, clear you to move onto the next one. 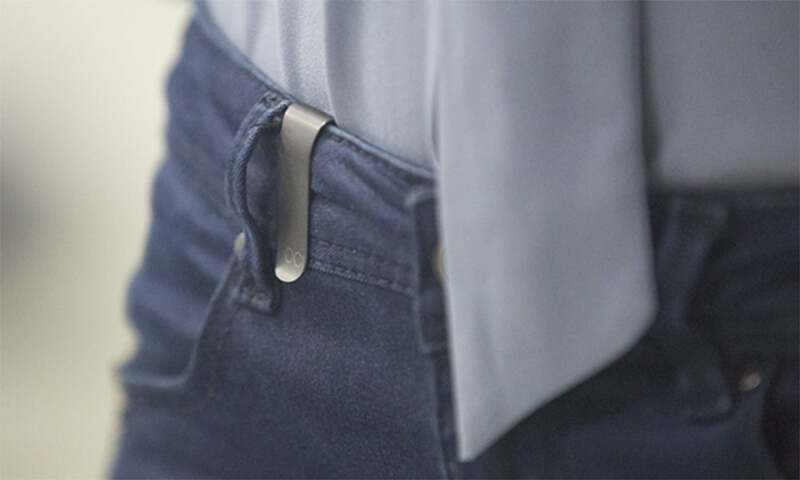 What it is: Foci is an AI tool that clips to your waist and tracks every breath you take to gauge your cognitive state -- focused, distracted, stressed, fatigued, calm and so on. The founders of Tinylogics, the company behind Foci, met at the University of Cambridge, and the college students’ constant battle with distractions sparked the idea for the product. Foci reached full funding via Kickstarter in five hours, and Tinylogics co-founder Mick Adams says the devices will ship out in October. The notion that breathing patterns can indicate cognitive state is nothing new, as research shows, but “the challenge is to track it reliably,” Adams says. That’s where machine learning comes in. How it works: Once Foci learns your normal breathing patterns, it can more accurately gauge when you’re “off” -- and why. If you become distracted, the tool alerts you via a notification or a vibration. Then, an “AI mind coach” offers strategies to get you back on track -- encouraging you to write down what distracted you and why, then, for example, advises you to head back to work, drink a glass of water or take a walk. Users with a penchant for visuals can view their breathing patterns in-app via a fluid orb that changes colors according to cognitive state (gray for distracted, yellow for focused and so on). People who want to unplug can set the wearable to alert them via a quick vibration instead of any type of phone notification. Foci also tracks your cognitive state throughout the day and stores records in the accompanying app. Related: What Is AI, Anyway? Know Your Stuff With This Go-To Guide. 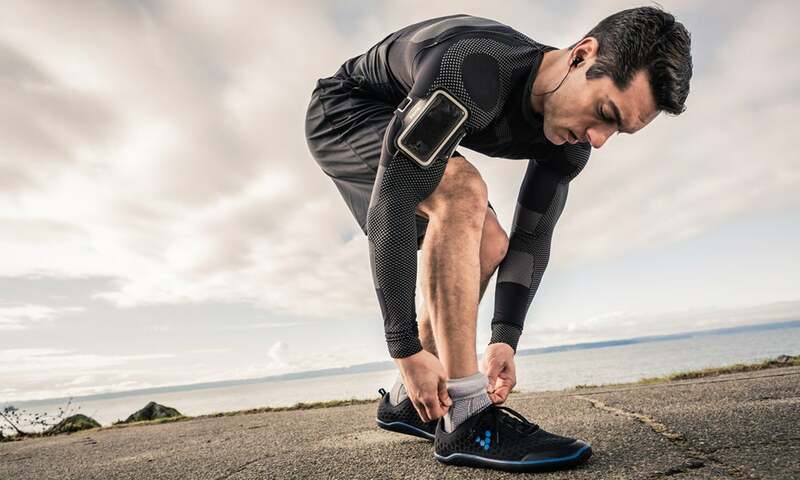 How it works: Textile sensors embedded in the clothing and a clip-on tool collect data about how a runner is moving in space -- stability, impact, speed, cadence and more -- and transmit that information to AI algorithms that analyze your run in real time. After downloading the Sensoria Run app, users can opt for advice from an AI running coach who periodically interrupts music to offer encouragement or guidance on cadence, landing technique, proper form to avoid injury and more. Users can also compare runs post-workout via an online dashboard that incorporates GPS location, as well as use the “shoe library” (featuring 8,000 running shoes) to determine which pairs come out on top based on tracked performance. What it is: QardioCore is a wearable ECG/EKG monitor that aims to make tracking your heartbeat’s electrical activity easier and more efficient. The idea for the product came to Marco Peluso, co-founder of Qardio, primarily out of necessity. While in England and on the phone with his father in Italy, Peluso realized his father was having a stroke. Although it left no permanent damage, what followed was a long, drawn-out process for gauging the cause. For six months, nothing relevant showed up in tests until an arrhythmia happened to manifest while Peluso’s father was already at the hospital. Peluso was determined to invent a more streamlined way to diagnose heart irregularities. How it works: The routine ECG/EKG process involves a doctor’s visit, shaving any chest areas that electrodes will attach to, a brief “resting” test in the doctor’s office, a 24-hour home test with the same patches left on and, if results are inconclusive, up to a month of the same. QardioCore, on the other hand, can be taken on and off at will by the wearer and requires no shaving or other skin preparation. The device records the electrical activity of the heartbeat and transmits it to both your smartphone and “the cloud.” At the same time, the company’s AI algorithms classify the data -- for example, normal or irregular -- and can help doctors interpret results in real time. What it is: Hexoskin’s Smart Shirt is outfitted with sensors for cardiac activity, movement and breathing. The machine-washable wearable tracks pretty much everything you’d want to know about your fitness activity -- acceleration, step count, energy expenditure, heart rate, breathing rate and more. 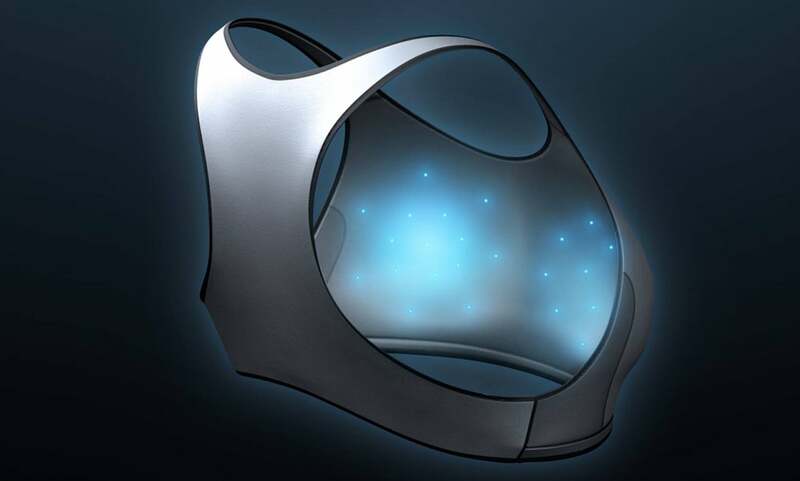 The shirt’s technology has been written about in a laundry list of academic journals, and it doubles as a sleep tracker, measuring resting heart rate, sleep positions and breathing patterns. 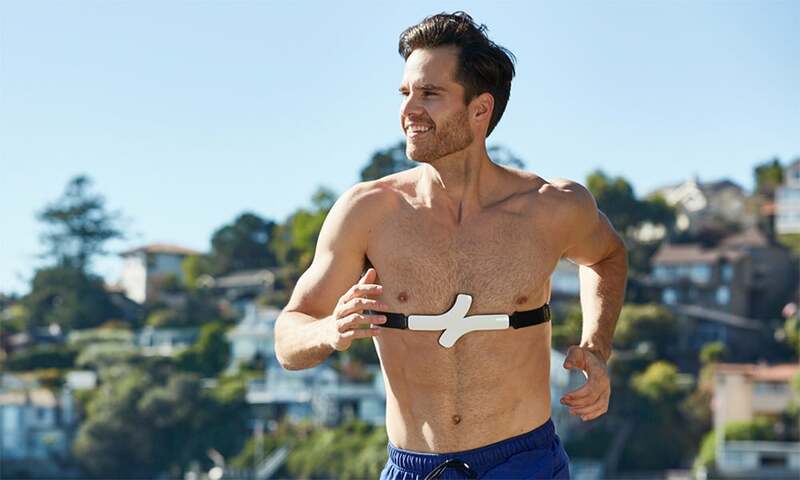 How it works: The Smart Shirt uses Bluetooth to connect with your devices and works with iOS, Android and Apple Watch, plus third party apps including MapMyRun. You can charge it via a USB cable (the company claims it has upwards of 30 hours of battery life), as well as manage your data with Hexoskin’s online dashboard. 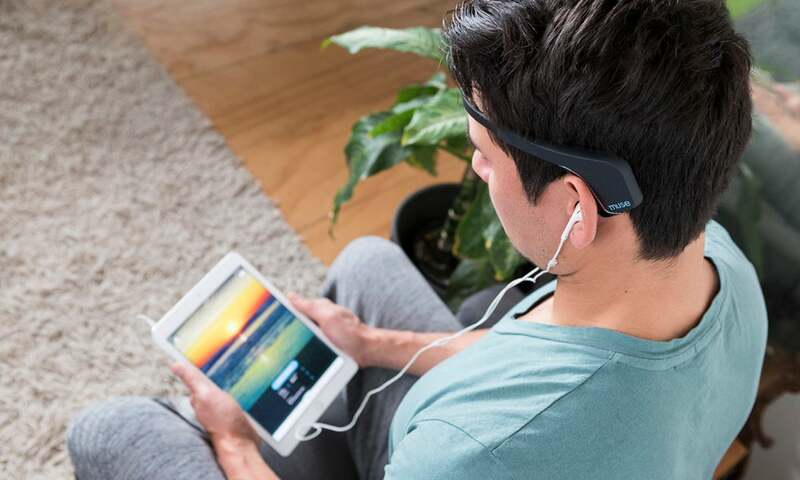 What it is: Muse is a “brain-sensing headband” that aims to help you meditate more effectively. It tracks your brain signals through seven sensors -- two on your temples, two behind the ears and three reference sensors on your forehead -- to give you real time feedback on what’s happening in your mind while you meditate. You’ll hear calm winds when your mind is settled, and when your mind is active, those winds will pick up in pace with sounds akin to a storm. Muse’s accompanying app starts users with three-minute meditation exercises and increases from there, incorporating rewards to encourage daily meditation. One recent study published in a peer-reviewed journal found that four weeks of using Muse could result in brain changes akin to those in mindfulness practitioners. How it works: Since your brain changes daily, Muse calibrates with its current state before each use and uses that reference point to analyze your brain signals. EEG technology -- or a way to detect electrical activity in the brain -- has been around for about 90 years, but not for the same purposes it’s being used for now, like consumer health. Muse’s technology was co-developed and tested through the MIT Media Lab, NASA and the Mayo Clinic, and the science behind the company’s main “focus algorithm” was performed in university labs over the past few decades. After you meditate with the headband, information about your session is sent to your smartphone using Bluetooth waves (about 100 times less powerful than smartphone radio waves, the company claims). After each meditation, Muse walks you through your brain’s activity using graphs, charts and tips for the future. What it is: Cyrcadia Health's iTBra is a wearable screening tool for breast cancer and other tissue abnormalities. Users wear dual patches filled with sensors as a bra insert, and during wear time (which should range from two to 12 hours), the patches track temperature changes in variance over time. After three clinical trials of more than 500 women and three patents, the developers of iTBra found the tool could be more effective than mammograms when it comes to detecting cancer in dense breast tissue, which affects as much as 40 percent of women worldwide. How it works: After iTBRa collects thermodynamic data from the breasts, it’s analyzed using machine learning. One of the top data points iTBra looks for? Metabolic changes in heat that may relate to the type of cellular activity often found in breast cancer tumors. The data yields an automated result determining whether there’s an abnormality -- data is also monitored by Cyrcadia’s engineering team. Data can then be shared with physicians from a user’s computer or smartphone.